Bo's Coffee, Coffee Book 2013 is here... Yes, you read it right! 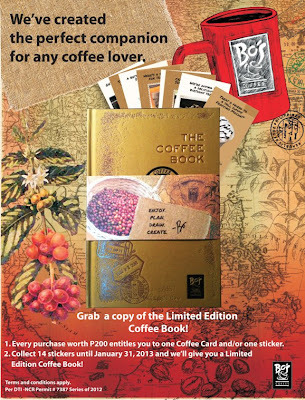 Bo's Coffee Book 2013 is available in all Bo's Coffee branches nationwide. You can get it by visiting your favorite Bo's Coffee shops and for every pruchase worth P200 entitles you to one coffee card and one sticker. collect 14 stickers until January 31, 2012. Check out the full coffee book mechanics, and terms and condition at The Coffee Book 2013. 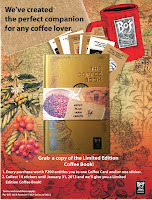 And if you are wondering on what's inside the Bo's Coffee 2013 Coffee Book? Oh well, you can take a peek below. 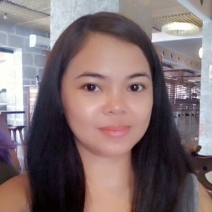 Also, check out the coupons, sketches, and lot of Philippine coffee fun facts. There is also a planner book inside that features artworks and a lot interesting tidbits about our country and the coffee that we have. The design is really pretty that will fits to your lifestyle as a coffee lover and this is something that you could still keep even after the years. So what are you waiting for? Visit your favorite Bo's Coffee today!